We’ll bring you the full post as it appears on the official Warcraft website, and we also hope to analyse each and every Healing Class Preview, so be sure to check back at a later stage as we dissect the latest information. Prayer of Healing will change from groups to up to 5 players in a 15 yard radius! Overall, I’m pretty happy with this preview of the Holy Priest. It looks like they’re really trying to change the fantasy of all of the classes, and it would appear they may just accomplish this with the Holy Priest. 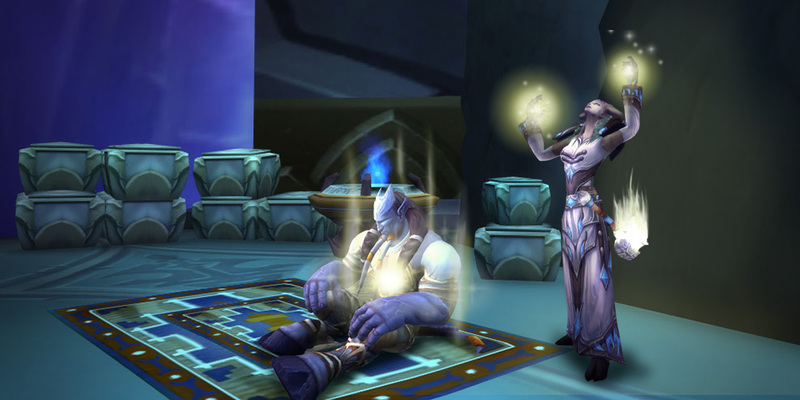 With the removal of Chakra (thankfully) and the addition of some new “miracle” spells, from being locked out of Shadow spells completely to smiting foes and carrying out sacred justice, I can imagine being immersed in the Holy Priest playstyle. They were right to remove Chakra, it was a clunky mechanic that was cumbersome to use to say the least. No longer must we stance dance depending on our healing requirements. A Holy Priest in the fantasy should be able to heal as required at anytime. Instead of Chakra swapping, we’ll depend on using our “miracle” spells for huge heals (single or multiple target) and these must be managed in terms of using Serendipity to reduce their cool downs after use. It’s these miracle spells, Holy Word: Serenity (which may just be the biggest single target heal in the game) and Holy Word: Sanctify (a multi target instant) that are going to be the focus of the Holy Priest playstyle. Prayer of Healing will undertake a huge change as it goes from a large-range group-restricted heal to a raid-wide (up to 5) any group but distance-restricted (15 yards) heal. While Prayer of Healing in the past has been very beneficial for raid-wide damage across far distances, it has often been a pain in pick up groups with leads that don’t understand the mechanics of it. This will ease that burden a little, but it’s going to mean that you’ll need to focus on area damage for this spell rather than group damage. I did have some concerns about the loss of Circle of Healing, a staple to the Holy Priest for a very long time, and others obviously had the same concerns. @Warcraftdevs has been busy on Twitter responding to questions around the new class previews and had a few things to say about the Priest preview. @__Yot The current plan is for Holy Nova to be Holy's method of dealing AoE damage. @ematthewcobb We're currently considering talent options that bring back Circle of Healing, or something similar. Tha current plan is for Holy Nova to remain, but would be Holy’s method of dealing AoE damage. No mention of it also healing, so assume it will only do damage. As for Circle of Healing (to be continued). @Caitlin2013D Indeed! We're trying a different targeting method for Prayer of Healing, which makes it more localized instead of group-based. @Derevka A crit Holy Word: Serenity is basically a full heal. We think that qualifies as "absolutely massive." @Zolmation No. The spell is now entirely focused into being a very large instant heal. @Fizzl_CTR @Celestalon Discipline still has Power Word: Shield, but it will have a 6-second cooldown, to reduce spamminess. @Spotnick Currently 15 seconds, with a talent available to extend that to 20 seconds. @Lamortykins We'll be making sure that Discipline is still able to heal dungeons comfortably. @Rhykes_ Nope! Only the effective healing will turn into a DoT. @Floris257 It gets renewed. We're considering having it behave similar to DoT effects, which have some leeway on when you refresh. @_n_1000 Those were just off-the-cuff examples. Goal is that they provide respectable damage and healing, and we'll iterate as necessary. @battlerezauri Great feedback! Mind Blast for Disc is indeed no cooldown – a high cost/throughput alternative to Smite. Welcome to our World of Warcraft: Legion class preview series. In this entry, we’re exploring the Priest—to find out what’s in store for a different class, check out the overview. We continue our early look at class and specialization design with the Priest. In these blogs, we’ll be exploring class identity, discussing Legion’s new designs, and presenting core combat abilities for each specialization—laying out the foundation upon which talents and Artifacts will build further. With that in mind, let’s delve into what it means to be a Priest in World of Warcraft. Priests have a strong identity as spiritual practitioners who harness divine power to inspire and protect allies, heal the injured, and cure the ailed. But while this clearly holds true for Holy Priests, these ideas are less fundamental to Discipline Priests—and the ideals and beliefs of Shadow Priests are antithetical to those of Holy Priests. Despite these differences, Priests of any spec share one key thing in common: unwavering faith in something from which they draw great power. What delineates specializations is the source of that power. In Legion, we’re going to explore that dichotomy in greater depth than ever through the gameplay for each specialization. After spending much of their lives in temples studying ancient doctrine, preaching the tenets of their faith, and pledging their full devotion to the divine powers they follow, the most adept priests leave their houses of worship to serve on the battlefield, as shepherd to flock. There, they use their holy powers to bless allies and mend wounds. And while most stay behind the frontlines to aid their comrades, these holy champions are also capable of smiting foes and carrying out sacred justice. They’re also morally opposed to the use of Shadow and Void magic—rather, they are exemplars of the incredible grace and power of the divine and the Light, and even death cannot fully stop their healing capabilities. Given the innate purity of the spec, we want to ensure that Holy Priests continue to have a large repertoire of compelling healing spells. The Chakra system was cumbersome, requiring additional setup to optimally use most spells and restricting how much you could fluidly shift between healing methods. We have removed it in favor of a more dynamic play style focused around Holy Words. New Holy Word spells are designed to feel absolutely miraculous, having huge effects balanced with long base cooldowns. The new passive effect of Serendipity allows those long base cooldowns to be reduced, letting you use them more frequently. Finally, in keeping with the resolute beliefs of the Holy Priest, they can make no use of Shadow spells. Smite, Holy Fire, and Holy Word: Chastise are the instruments used by Holy Priests to inflict damage upon their enemies. A slow but efficient spell that heals an ally for a moderate amount. A fast but expensive spell that heals an ally for a moderate amount. Perform a miracle, healing an ally for an absolutely massive amount. A powerful prayer that heals up to 5 injured allies within 15 yards of the target for a strong amount. Places a spell on a party or raid member that heals them for a moderate amount the next time they take damage. When the heal occurs, Prayer of Mending jumps to another party or raid member within 20 yds. Jumps up to 5 times and lasts 30 sec. after each jump. Release miraculous light into a target location, healing up to 6 allies within 10 yards for a huge amount. Fill the target with faith in the Light, healing them instantly for a minor amount and then a large amount over 15 sec. When you cast Flash Heal or Heal, the cooldown of Holy Word: Serenity is reduced by 6 sec. When you cast Prayer of Healing or Prayer of Mending, the cooldown of Holy Word: Sanctify is reduced by 6 sec. When you cast Smite or Holy Fire, the cooldown of Holy Word: Chastise is reduced by 6 sec. Your direct healing spells heal for an additional 25% (with Mastery from typical gear) over 6 sec. Enter a pure Holy form for 30 sec, increasing the effects of Serendipity by 200%. Some priests pride themselves on pragmatism. They understand that light casts a shadow, that darkness is defined by light, and that true discipline stems from one’s ability to balance these opposing powers in services of a greater cause. While these priests possess many holy virtues to aid their allies, they also dabble in the dark arts to debilitate their enemies—always exercising immense discipline to keep themselves away from the brink of insanity. Many would say the ends justify the means; scriptures both virtuous and vile should be studied and understood to protect the congregation. The power of absorption mechanics has created a gameplay issue for healers that we’re looking to address in Legion. Discipline Priests have been so effective in their role of preventing damage that it has sometimes left other healers yearning for an opportune time to throw out a clutch heal. To alleviate that issue, we’re tempering Discipline’s emphasis on shields in lieu of a reimaged Atonement mechanic. Discipline Priests are now more clearly defined by their use of both Holy and Shadow magic, and that extends to how they function in combat. Sacrificing a portion of healing ability and having a reduced focus on absorption spells, they gain a significant contribution in damage. 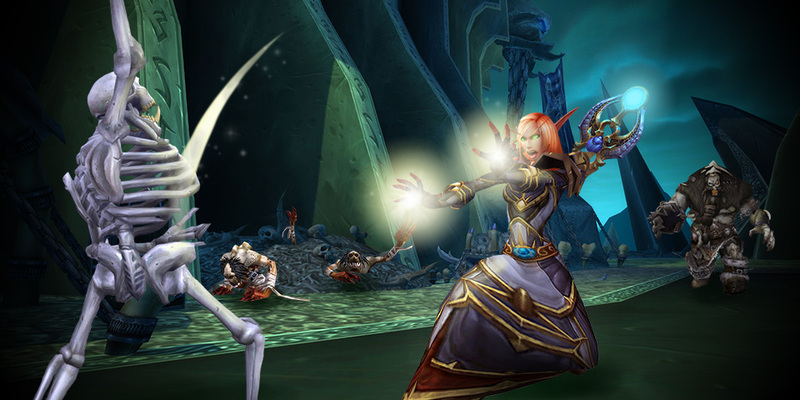 Still filling a healer role in group content, they aim to strike a balance between healing allies and damaging enemies in a unique gameplay style. 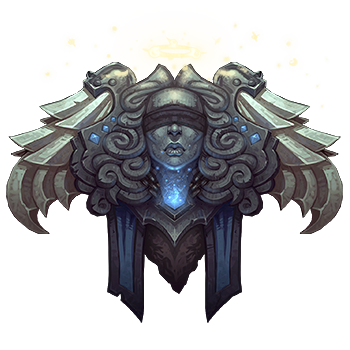 Discipline Priests have strong cooldowns with Power Word: Barrier and Pain Suppression, along with Rapture, a new cooldown that temporarily removes the cooldown of Power Word: Shield. Plea, Power Word: Shield, and Shadow Mend also apply Atonement to your target for 15 sec. When you deal spell damage, you instantly heal all targets affected by Atonement for 50% of the damage done. Developer comment: Healing is not split between Atonements—the more allies you have Atonement on, the more total healing that a damage spell will cause. Increases the healing transferred through Atonement by 28% (with Mastery from typical gear). A quick, efficient plea to heal an ally for a minor amount. Wrap an ally in shadows which heal them for a large amount, but at a price. The ally will take minor damage every 1 sec, until they have taken half that amount of total damage from all sources, or leave combat. Shield an ally, absorbing a large amount of damage. Lasts 15 sec. While the shield holds, spellcasting will not be delayed by damage. A burst of light heals a friendly target and their 5 nearest allies for a moderate amount, and applies Atonement for 50% of its normal duration. Smite an enemy for moderate Holy damage. Blast the target’s mind for strong Shadow damage. Launches a volley of holy light at the target, causing huge Holy damage over 2 sec. Your Smite and Mind Blast casts have a 30% chance to reset the cooldown on Penance. A word of darkness that causes minor Shadow damage instantly, and an additional huge amount of Shadow damage over 18 sec. Increases your non-Atonement healing and absorption by 30% on targets with Atonement. We hope you’ve enjoyed this early preview of our approach to Priest class and specialization design in World of Warcraft: Legion. We’ll continue our review later today with a look at Mages. Originally published on November 9th, 2015 by Disc Priest and Holy Priest on HealingWoW.com, Last modified: November 23rd, 2015 in the Disc Priest, Holy Priest, Legion, Priest category/s. 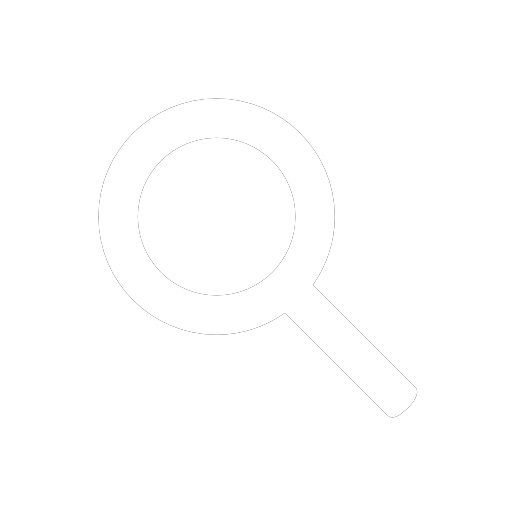 Find more posts by Disc Priest and Holy Priest by going to the Disc Priest and Holy Priest Archive, or navigate to Disc Priest's main page.